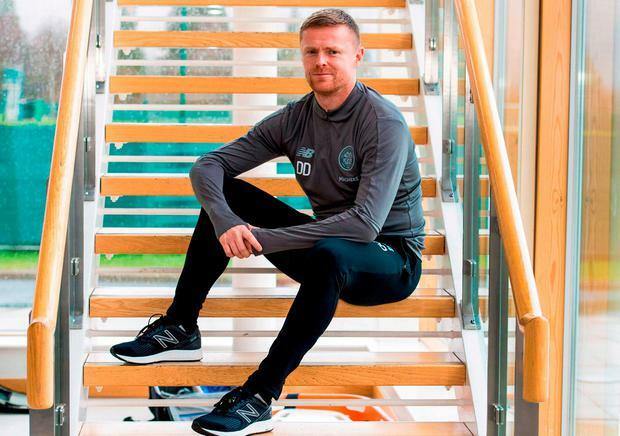 The Irishman recently joined the club's coaching set-up, initially working with the reserves, but after Tuesday's shock departure of Brendan Rodgers to Leicester he was moved up to form part of interim boss Neil Lennon's backroom staff, along with John Kennedy. "I'm ready for it," he said. "I know the role and I know the club, and it's a massive honour. "Celtic is more than a club. Here, you're fighting for more than that - you're fighting for a cause as well. "I know what the club means to fans. It means the same to me, so I'm ready. "I understand the club and, Celtic Football Club aside, myself and football, I'm all about emotion and enthusiasm." Duff admits there is a part of him "that's sad to see the back of the reserves for now." The 39-year-old former Chelsea, Newcastle and Fulham player said: "I felt like they were starting to really understand me and the way I work. "The game against the Kilmarnock reserves is the best they've been, and for 70-80 minutes they were brilliant. "What I've enjoyed up until now is improving young players. I feel I'm good at it, so I guess I'll miss that side of it, but I'll still be keeping an eye on them and helping them whenever I can. "There were four or five of them training with the first team after the Hearts game. "That's what the club's built on, bringing youth through so nothing's going to change. "It's obviously a massive step up to the first team. There will be more quality and a quicker tempo, but I'll just be helping the gaffer and John wherever I can. That's what I'm here for."